Your Next Stamp Challenge #48~Tooty Fruity! Hello! 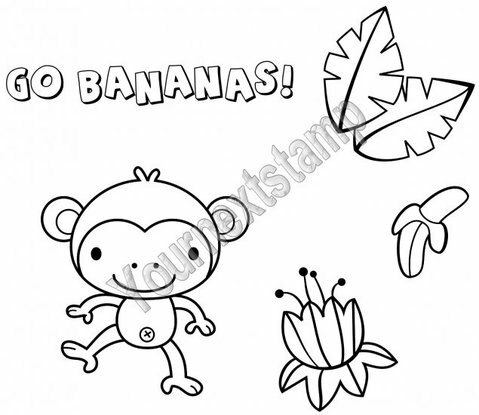 It's time for a new challenge at Your Next Stamp and this time we want you to be inspired by FRUIT! 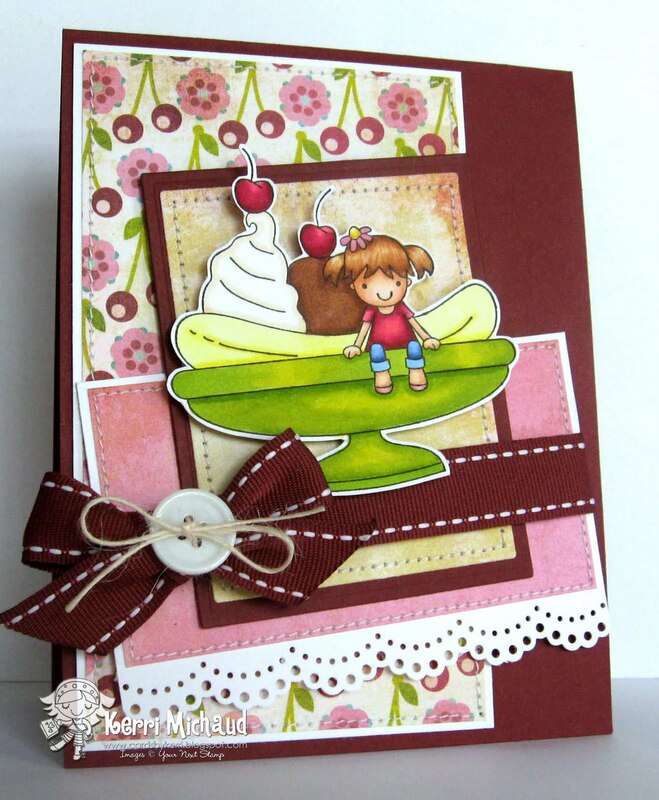 You can use fruity colors, fruit patterned paper, fruit on your images-the choice is yours! I used this ADORABLE YNS image called Total Sweetness along with some fruity Basic Grey Lemonade dp. The layout is this month's Jen's Sketch For You To Try. Would you like to see the prize up for grabs? It's the fun set Monkey Gone Bananas. So cute! We can't wait to see your fruity entries:) Thank you so much for stopping by and have a wonderful Wednesday! Oh Kerri this is a darling card. I love your layout and that DP. So beautiful card Kerri,I love the image and your papers. What a pretty card Kerri, wonderful colours and the image is so sweet. Kerri this is fabulous the layout is terrific and that lacy border punch really pulls out the stitching from the ribbon...I love it! So cute! Love the colors, so rich!